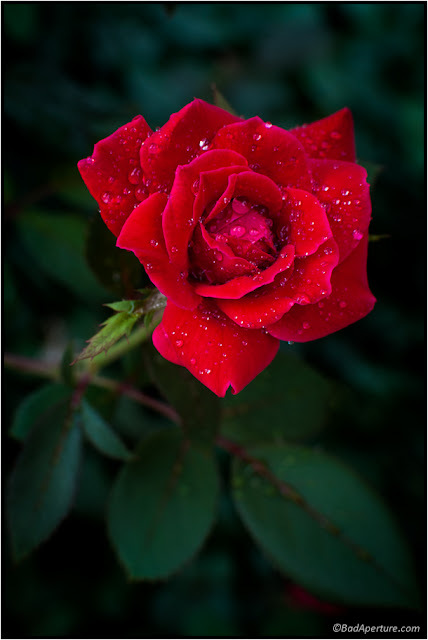 Experimenting in different moods with these roses; Rose with saturated deep red color and water droplets. Any constructive feedback is appreciated. Good or Bad. It does not matter.